How did we find out about an awesome seafood buffet in Patong, Thailand? It was more by luck than our usual method of putting in time researching. Whilst in Phuket Thailand we stayed at the Grand Mercure Patong, where this buffet was located. We were enjoying some cocktails by the pool where the mojito’s were amazing. Made with local award winning rum distilled at the Chalong Bay Distillery, a place you can visit, enjoy a bite to eat and tour the facilities. The chocolate and mint mojito a clear standout, made with Hershey’s sauce and the passion fruit mojito, also very good. Whilst lapping up the beautiful weather with beverages in hand, we were starting to research and discuss options for a seafood dinner. Whilst in discussion, we noticed the Taste of Asia buffet and seafood BBQ being set up for the evening, with the stations including cuisine from Thailand, China, Japan, Vietnam, and India. We further investigated and discovered the price was THB 999 which converts to roughly AUD $40. There was also a promotional 25% discount for downloading the Accor hotel group App. Done and done, easy decision. This option not only convenient, it had a clean and hygienic set up and the food was beautiful displayed and prepared. We were chomping at the bit to get at some fresh seafood and were into it as soon as the buffet opened at 6pm. The spread was out of this world with a Japanese sushi and sashimi bar prepared whilst you wait, with top quality salmon, tuna and octopus, and this was our first check point. There was a salad bar and cold seafood section including NZ mussels and fresh prawns which also made the first plate. This plate of food was conveniently finished, just in time to sample the fresh seafood that was being served straight off the BBQ. There were large river prawns, whole fish, squid and blue swimmer crab charred over hot coals. This was the perfect way to enjoy the natural flavours of the seafood. There was also a range of tasty sauces to accompany the seafood to add even more flavour. The hot food bar could not be passed up with a range of local specialties including curries, the pad thai freshly prepared, as well as tom yum kung. In addition to this there were also satay chicken skewers served straight from the BBQ. With a enticing selection of Chinese BBQ meat including succulent duck and chicken, which had our mouths watering. With so much delicious food it was going to be a case of our eyes being too big for our stomach. However we did manage to spare some room for dessert. There were many bite sized custard filled Chou pastry profiteroles, tiramisu, creme brulee, a fruit salad selection, a station preparing freshly made fritters and local specialty desserts made with sticky rice. The buffet at the Grand Mercure is must visit especially if you are after a seafood feast. 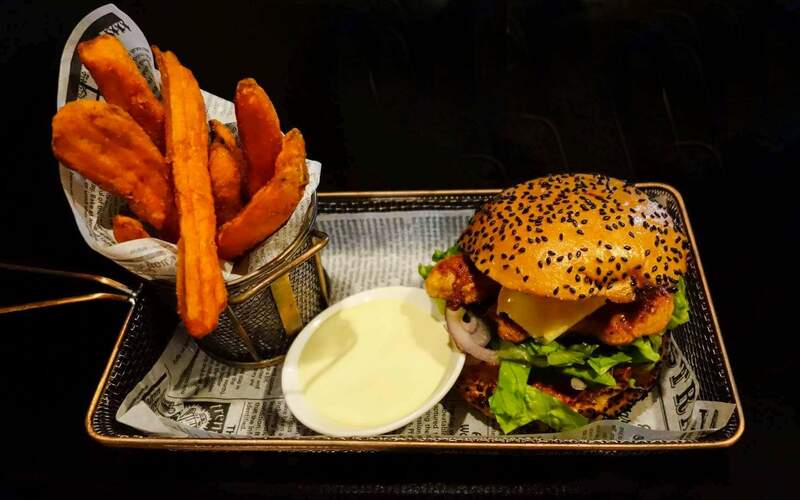 You are spoilt for choice with delicious, freshly prepared food. The buffet is one of the best we have tried and it was also great value. The Holiday Inn Potts Point is in Kings Cross district and is only a stones throw from the Coca Cola sign. It is an area that is replacing night clubs with a thriving restaurant scene. The Holiday Inn has comfortable rooms with all of the required amenities and the location allowing guests to book rooms overlooking Sydney’s famous harbour landscape and cityscape, as well as the botanic gardens. It is a great place to explore Sydney from. The hotel restaurant Siricco caters to visitors and locals alike. The recently upgraded Sirocco resraurant has a large open kitchen and chic dining space, providing meals through out the day. 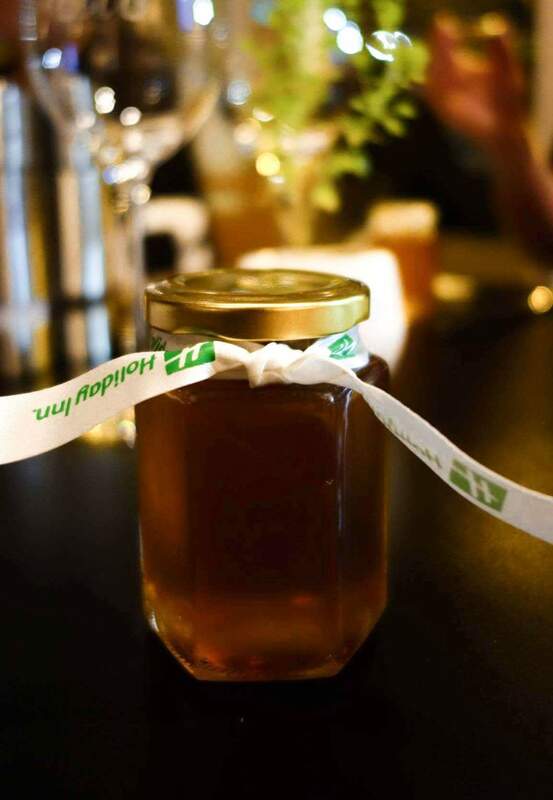 With the $25 buffet breakfast being a great opportunity to try the honey produced on site by an urban beehive situated on the roof of the hotel. There are also smaller options and ala carte available. The Sirocco menu has something for everyone with a range of entrees, salads, pizza, pasta and items from the grill. There is also an option to build your own burger. Sirocco also offers reasonably priced meals for hotel guests and locals with $12 daily meal specials $15 with a drink. They have a great drink menu with a great range of alcoholic beverages availible including some nice wines. They also have variety of non alcoholic options including juices, coffee and teas. 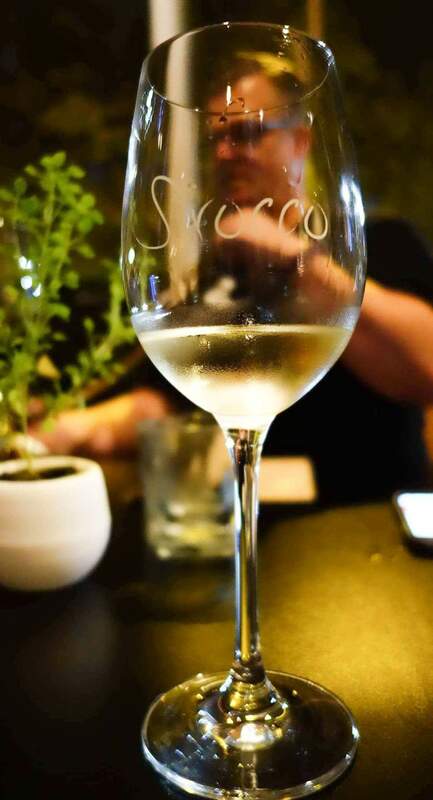 We were here with foodie friends Random Din Dins Sweet and Yummie and Spooning Australia to try Sirocco’s new sharing menu. The sharing menu is perfect for a group meal or if you are visiting for a corporate event. 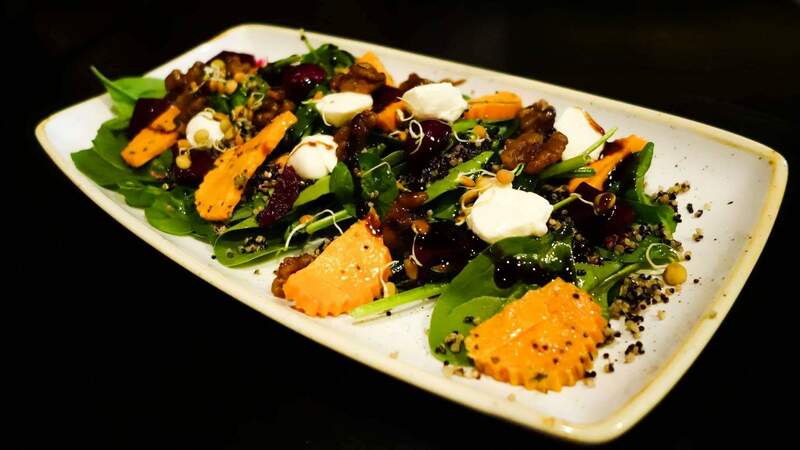 With some morish starters including the crispy fried salt & pepper calamari, marinated fried chicken and for a healthy touch: the roasted and pickled baby beetroot salad. For mains, a favourite was the BBQ share platter. 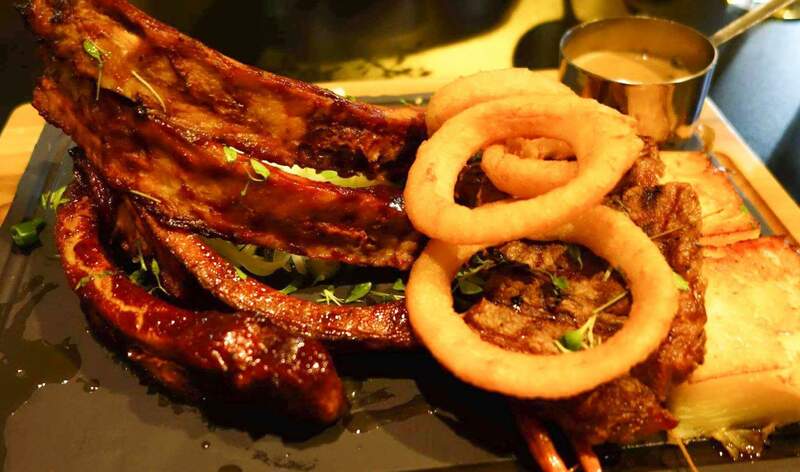 With a stack of mouth watering meat options including the BBQ blasted pork ribs, scotch fillet steak and served with onion rings. There is also the tasty grilled Atlantic salmon share plate. Now for the sweetest thing- dessert. 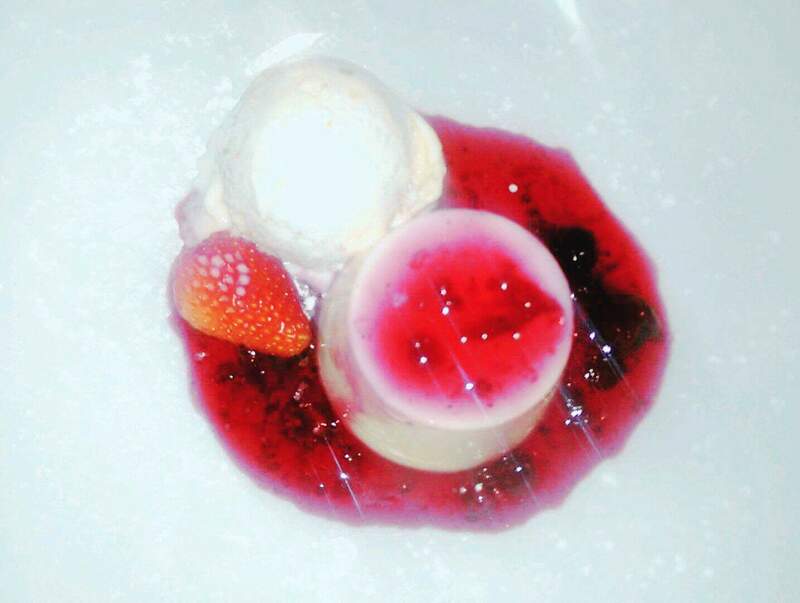 The creamy Baileys Creme Brulee and the di vinely silky Honey Panacotta made with the honey sourced from their own urban beehive situated on the roof of the hotel. Thanks to The Holiday Inn Potts Point and Sirocco for the hospitality. Especially Cindi and Ben for arranging the evening, a very enjoyable experience.